We may have survived the wedding season, but chaos is still ruling here at Salome Hoogendijk Photography. Luckily, that is when magic happens! 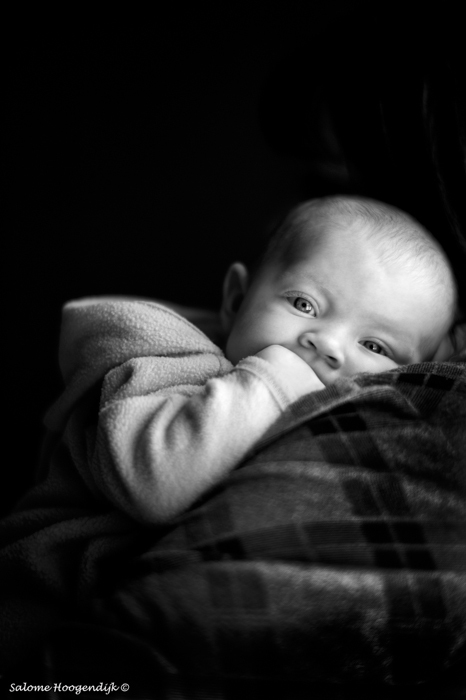 Since my last blog, I’ve done several family shoots and have decided to dedicate this blog to my experiences and tips regarding a very challenging, but also uniquely rewarding type of photography Most photographers either hate working with children, because they are unpredictable, or they love it. I fall into the category of loving it, precisely because of their unpredictable nature. If you prefer your shoots to have structure and follow your plan, maybe a different branch of photography is better suited to your style. Personally I have found that kids can bring a unique and surprising element to each shoot. All families have different dynamics, and the key to representative and authentic family portraits lies in capturing that. Although several women can apply their own makeup very well, with the harsh studio lights, one can often seem very drained. I always recommend to my clients to make use of a professional makeup artist, and have found that the appearance of my images have been improved since routinely doing so. I also tell the clients that plain colours or simple patterns work best in clothing, and that large logos and pictures do not. Personally I don’t like children to be dressed in the same clothes, but rather like the colours to be coordinated, but that is a matter of personal taste. Furthermore, I recommend that the kids bring their toys or things representative of their interests, such as dolls, tractors, cricket bats etc. Some snacks and cold drinks are always a good idea, as children inevitably become hungry at the most inopportune times. Most people are uncomfortable in a formal studio setting and are not used to being in front of a camera. I’ve made my peace with the fact that those initial shots are going to be very awkward and stiff. My personal style is to not have too posed images, but I set them up in a formal setting just to have the children get used to the lights, and to make use of the opportunity to talk to the family and get a feel about their identity and character. Once I feel that we have comfortable subjects, I ask the children to play with their toys in front of the camera, and then mix and match who’s in front of my lens. With kids you have to be prepared to roll with the punches. If they are difficult and uncooperative, I’ve used my dogs, high heel shoes and lots of random other rewards as tools to get them to be themselves in front of the camera. 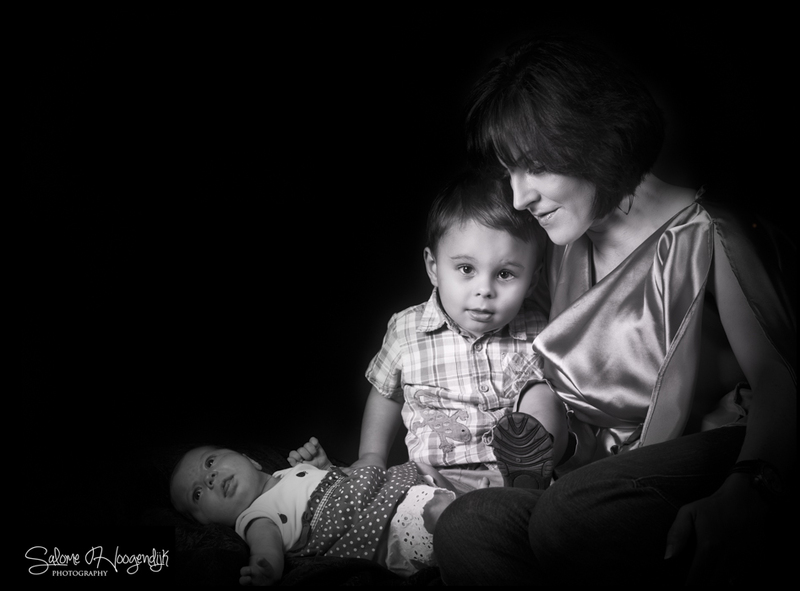 Sometimes those images have been my best, and that is why I think that flexibility is the key element in successful family photography. 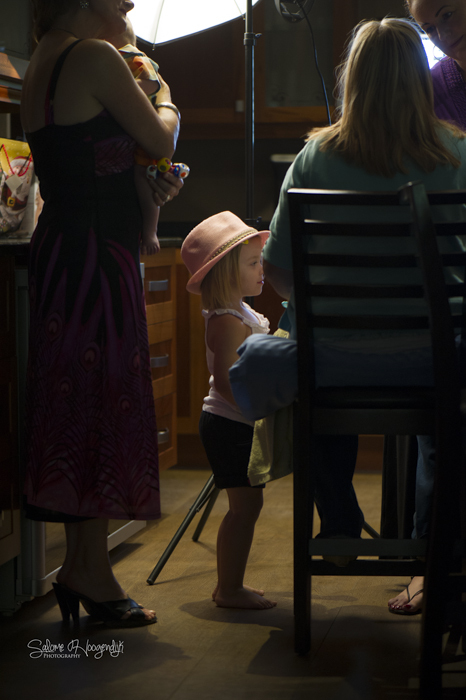 A little girl is watching the professional makeup artist, Maureen Grobler, applying makeup to her mom. She is wearing my hat and my mom and son are my secret weapons in putting everyone at ease. We even made her sit for some lip gloss, as she didn’t trust what we were doing with her mom. 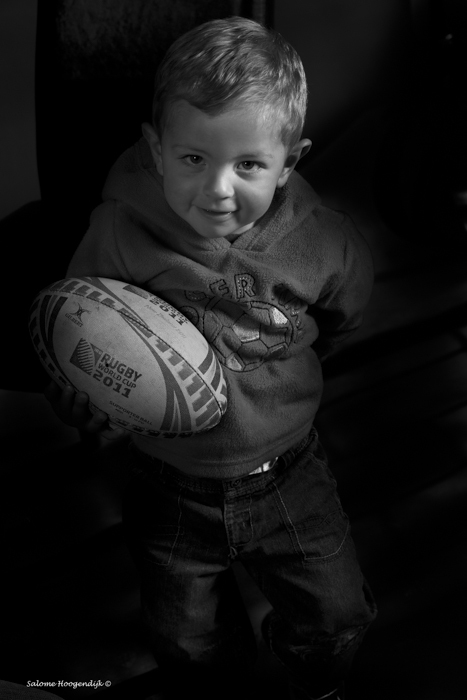 A little boy brought his favourite possession, a rugby ball. Apparently, at the time he went through a phase where he wouldn’t even shower without it. The families start to play together in front of the camera. 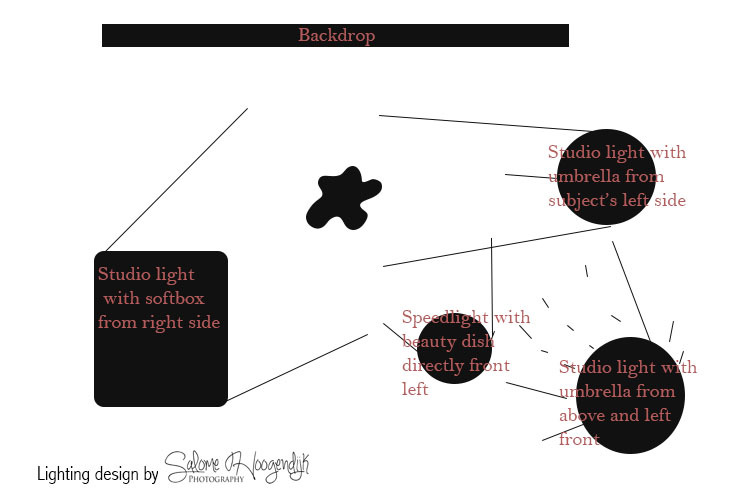 This helps to make them more at ease and to appear natural on the images. This family portrait was taken once they were a little more comfortable. I used a Nikon D3X with a 80-200 mm lens (Nikkor). They were positioned in front of a black background. A Hensel Pro 500 studio light with a softbox was placed to the subject’s font left, and two Profoto D1 studio lights with white umbrellas were placed to the left front and back of the subjects. A SB 900 speedlight modified with a beauty dish was placed to the front of the subjects as fill light. 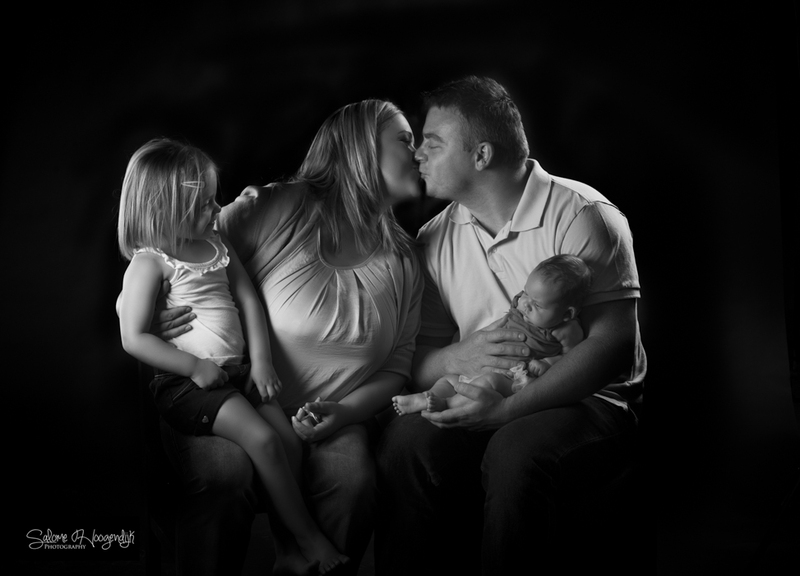 Family portraiture can be very exciting and rewarding. You may have to clean lollipops and chips off your floors and be happy with learning about the intricacies of John Deer tractors, not to mention sharing your shoes and accessories with little girls, but you will enjoy a different and exciting shoot with every family. Join me in the next blogs for some behind the scenes fun at weddings, model shoots and some makeup close-ups.